Diwali is in a couple of weeks time, so I thought it's the time to post some goodies, both sweets and savories that we can make during this festival season. 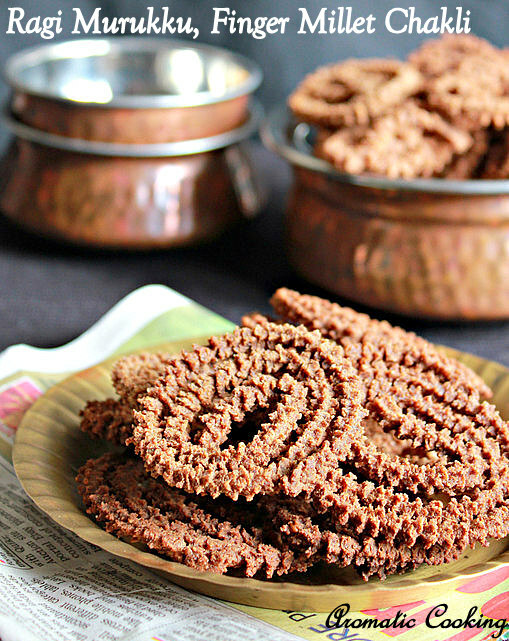 Since I have more sweets on my blog than these savory snacks, I am going to post today an easy and tasty murukku with Ragi/Finger Millet Flour, Ragi Murukku or Chakli. 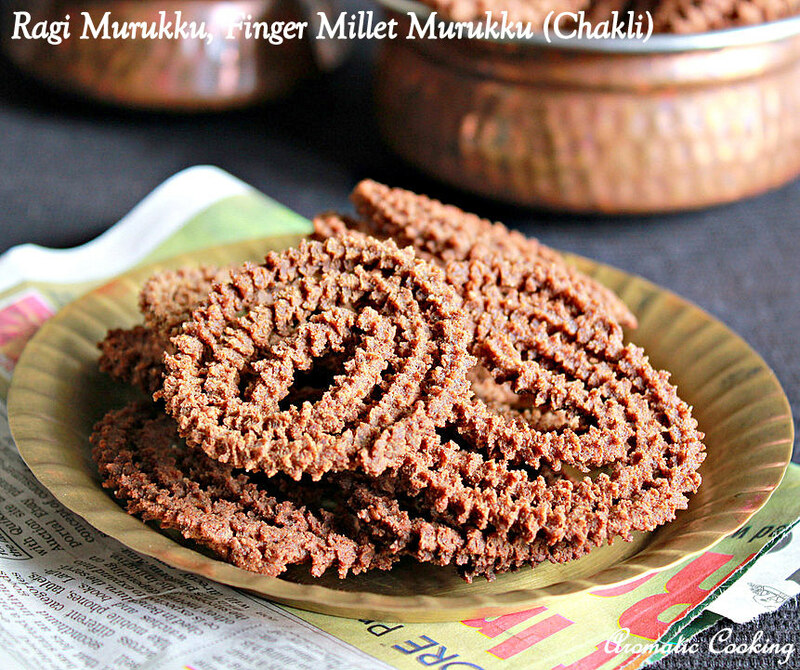 It's very simple to make, mixing the ingredients in the correct proportions and then making the murukkus using the murukku maker and deep frying them. 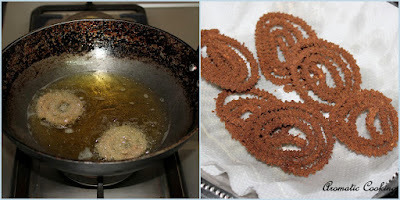 The murukku came out super crispy and had the perfect texture and it's a good snack to have along with your evening cup of tea..
Sift both the flours, add the salt, chilly powder, sesame seeds, asafoetida, and 1 tablespoon of oil and mix it. Then adding water little at a time, mix and make a smooth dough. 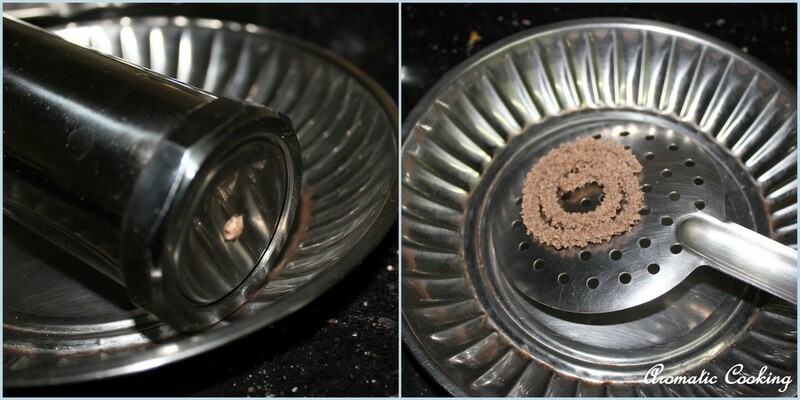 Take the murukku maker (press), use the star disc, place some dough inside it and press it out on the back of a ladle in a circular motion. After making a couple of circles, cut it with your finger, then stick the edge to the circles, so that it it stays in shape when you add it to the oil. In the meantime, you should have heated the oil, drop a piece of dough and if it comes up, then the oil is hot enough. Now just turn the ladle, touching the surface of the oil, the murukku will slide out. Fry them till the sizzling sound from the oil stops, remove and drain the excess oil. Finish the rest of the dough the same way, cool it completely and then store it in an air-tight container. The dough should be easy to press through the press, if it's too hard to press, then wet your hands and mix the dough, then try pressing, it shouldn't be too easy to press too. I have made a very small quantity, but I got about 25 small murukkus. 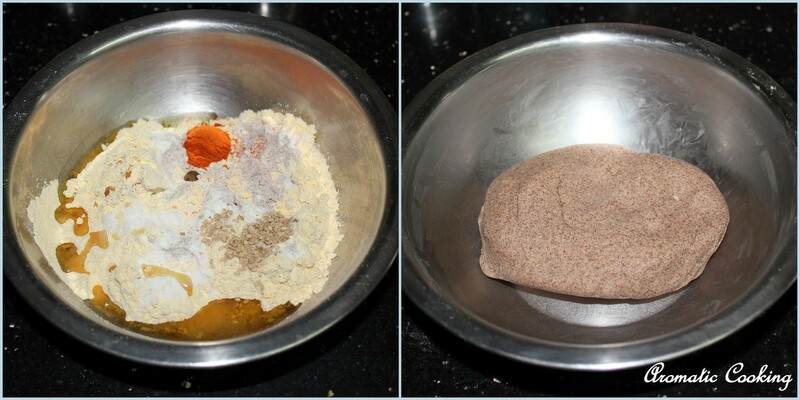 When making large quantity, mix everything, but take small portions, add water, make the dough, do the murukku, then do another batch, don't mix everything into a dough and keep. Use a couple of ladles to press out the murukkus and keep, you can fry 2 or 3 at a time, depending upon the amount of oil and the size of the pan you are using to fry them. wow...so beautiful and I am sure they taste great too.